There was once in Venice a girl whose name was Rosa, who enjoyed painting landscapes. She was the eldest of three sisters, and the kindest. The other two laughed at her love of art. Their father was a merchant. He travelled long and wide to bring back the most fragrant spices and softest velvets from the East and all ladies in Venice loved to buy his wares. There came a time when the merchants thought he would marry his mistress, since he had lost his wife long ago. His young daughters were against it, but Rosa did not mind as long as her father was happy. On the day of the wedding the bride gave Rosa a pink stone as a sign of her favour and gratitude. She said she had received it from her father himself, who had brought it back all the way from India. Rosa did not have much use for such a stone, except that she dusted and admired it every day. It certainly was very beautiful and made a magnificent view to look at on the mantelpiece. Her sisters, however, had set their eyes on the stone and stole it while Rosa was away on an errand. When she came back they feigned distress because the stone was missing. On market day Rosa saw her pink stone on a vendor’s stall and enquired about its provenance and price. The man said he had bought it from two young ladies and because Rosa was so interested and graceful, he would sell it to her for half its price. Rosa was sad because she realised what had happened. Besides, she did not have the money to buy the stone back. Rosa accepted with gladness and started out on her task, which was to polish all the stones till they shone bright, including the pink stone. Rosa was taken aback. She took her time and thought deeply. She ruled out marrying a prince or a merchant. Finally, she overcame her shyness and asked her heart’s desire: to be able to sell her paintings to the Venetian aristocratic families and make her way as a professional painter. When she went back home holding the stone in her hand, Rosa observed her landscapes lined against her bedroom’s wall and selected the most beautiful. Then she asked her father to be allowed to join him as he visited the mansions of the Venetian aristocracy. She was so successful in her endeavours, that her doubtful father was very pleased indeed and she became a renown painter in the Republic of Venice. 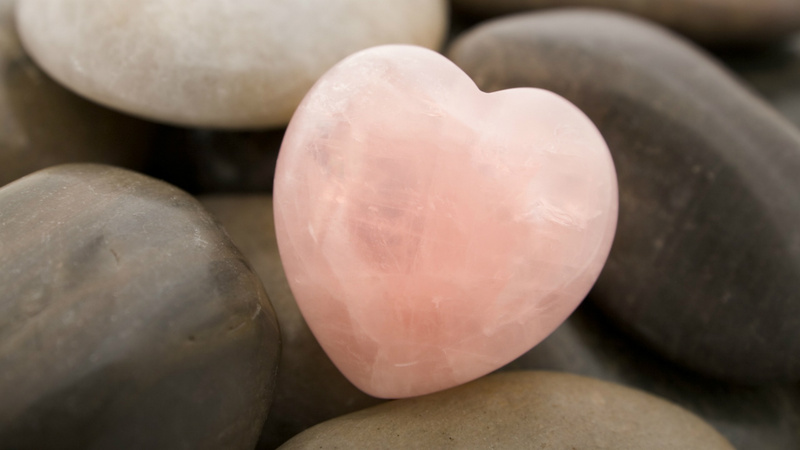 After a few months, as she regarded her pink stone, she rubbed it again. “I wanted to ask you a question,” she said. At that Rosa smiled and thanked the pink stone. From that day on she called it her wisdom stone.